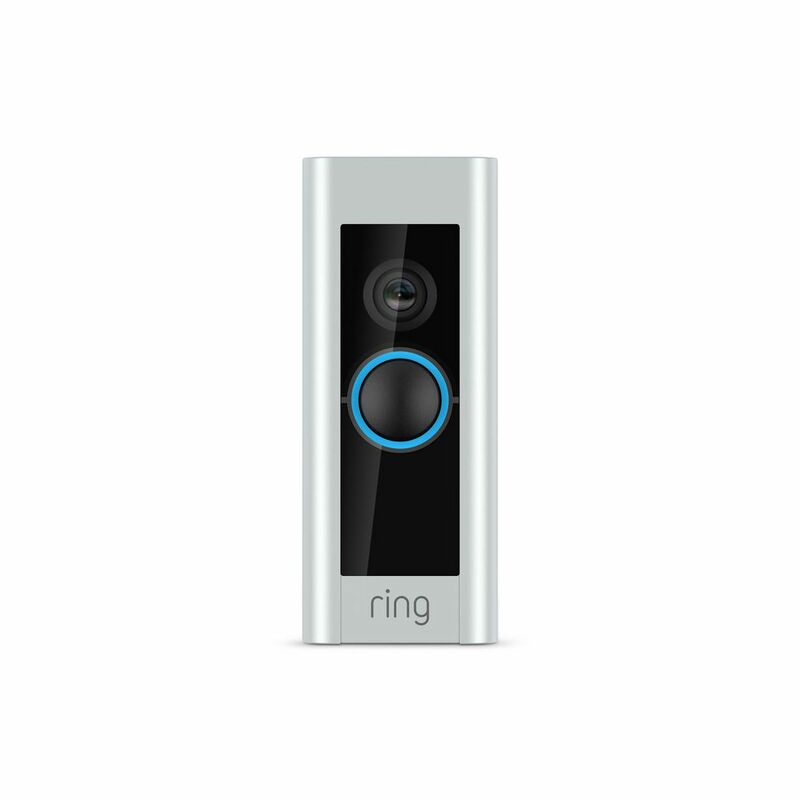 The Ring Chime is a Wi-Fi speaker that works hand-in-hand with your Ring Video Doorbell. The Ring Chime plugs straight into any outlet point and alerts you when a visitor is at your door. The Ring Chime connects to your Wi-Fi network the same way as the Ring Video Doorbell - and it can be paired with multiple Ring Video Doorbells. When you get a visitor - an alert will be sent to your iOS device using the Ring app. Also using the app - you can disable the Chime if you don’t wish to be disturbed. The Ring Chime has an adjustable volume so it’s never too loud or - too quiet. The Elgato Eve Door and Window detects when your doors or windows are open or closed. See the current status of your door directly on your iPhone - iPad or iPod touch and make smarter choices in your home. The Eve Door and Window is Apple HomeKit enabled. Ask Siri if the back door is open or closed - if you’re in another part of the house. 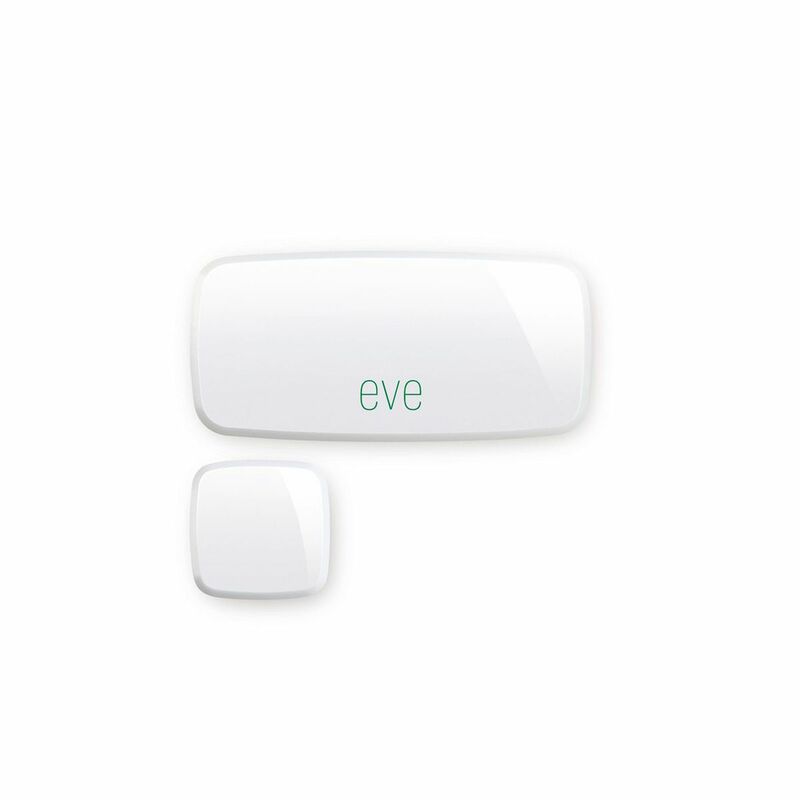 Eve Door and Window connects to your iOS device via Bluetooth - so an internet bridge - gateway or hub isn’t required. 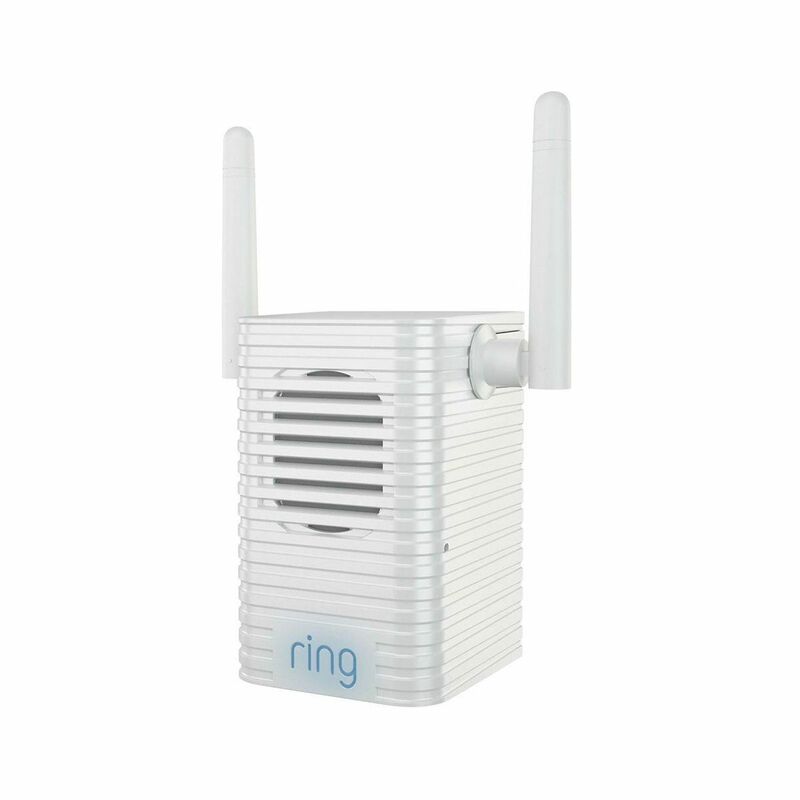 The Ring Chime Pro is a Wi-Fi extender to keep your devices connected - as well as amplifying your Ring alerts. Simply plug the Chime Pro into a power outlet to connect all of your Ring devices - and get Ring alerts anywhere in your home. Connection is made via the Ring app on your iOS device. Within the app - you can check connectivity status of each of your Ring devices - enable or disable alerts - or turn on the handy ‘Do Not Disturb mode’. Choose from a range of different tones available in the Ring library. 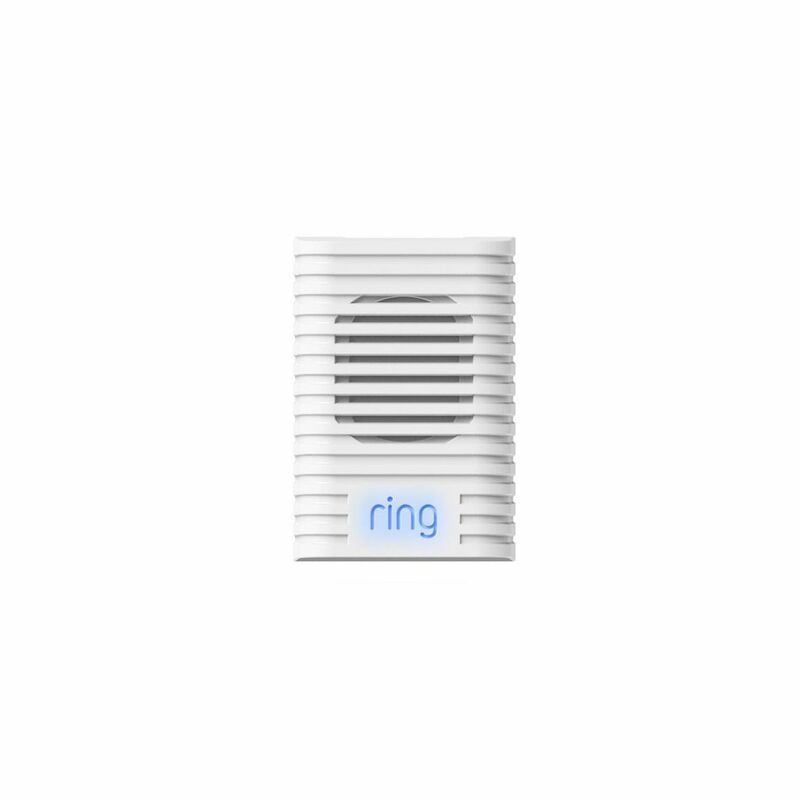 From seasonal tones to more classic doorbell sounds - Ring constantly updates their library. With the Ring Chime’s volume control feature - you can adjust the volume to suit your space and needs. The Ring Video Doorbell is like no other. The Video Doorbell offers you an incredible 180º field of view - a range of up to 30 feet - 720p HD video recording and infrared LEDs to allow you to see clearly - even at the stroke of midnight. It’s all encased in a sleek design no bigger than your iPhone. With the Ring Video Doorbell you can set up motion detection zones which alert your iOS device using the Ring App. The Video Doorbell enables you to keep your home even more secure - by speaking with visitors using the built-in speakers and microphone - even when you’re not in. Improve your home security with the Netatmo Welcome Indoor Security Camera. Unlike other cameras where you have to trawl through hours of footage - Welcome sends an immediate alert if an intruder has been detected in your home - complete with a picture of their face and a video recording. Thanks to it’s revolutionary facial recognition technology - Welcome can notify you when you or members of your household pass in front of the camera - ideal for keeping an eye on children. Unlike other indoor cameras - Welcome has a pet detection feature that notifies you when a pet passes in front of the camera. So now you can keep an eye on what they’re doing whilst you’re out. Watch your home at any point during the day - wherever you are - with the free Netatmo app - available on the Apple App Store. The Ring Spotlight Outdoor Cam in white - vastly improves your home security. The Spotlight Outdoor Cam comes with motion-activated or app-controlled LED spotlights and sends alerts directly to your iOS device. If a more direct approach is needed - you can utilise the intercom or - a 110db siren alarm can be triggered via the app to draw attention or deter intruders. Simply plug the camera in and it’s ready to go. If you’re having a package delivered or there’s a potential intruder - the two-way audio system can be used. With the 140º field-of-view - you’ll see them coming before they see you. 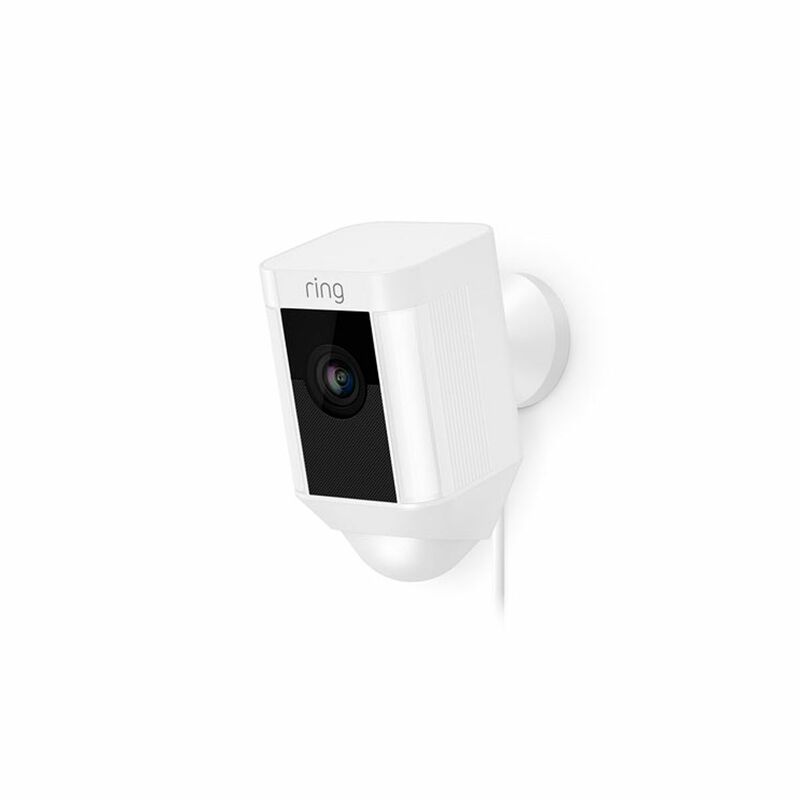 The Ring Spotlight Cam in white - is built to last. Ring have combined a sleek design with practicality. With it’s robust and weatherproof build - it can be used all day everyday - come rain or shine. 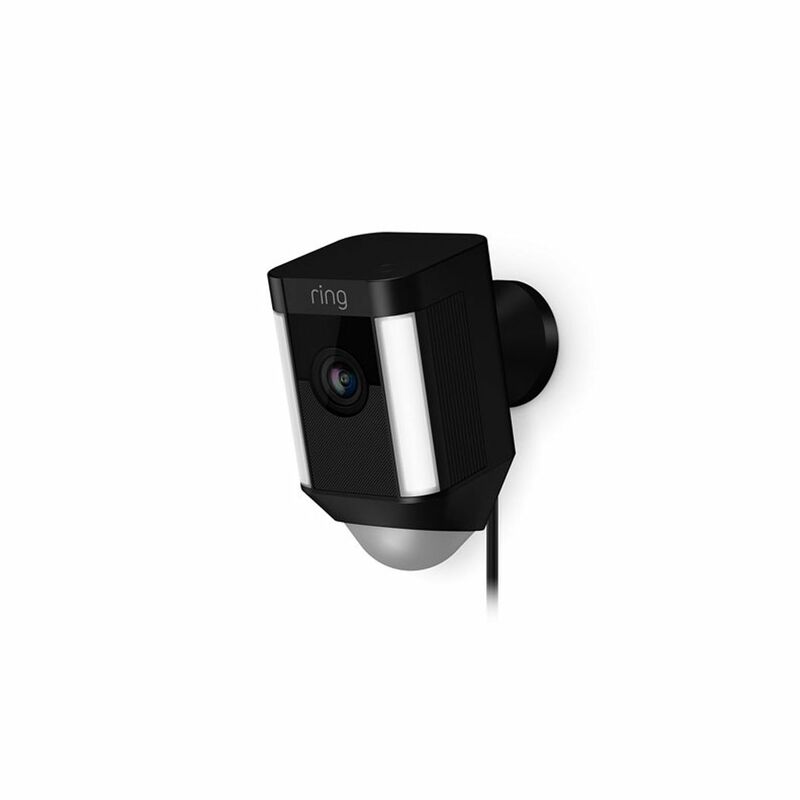 Bring smart security to your home with the Ring Spotlight Battery Cam in black. The battery operated camera connects to your home Wi-Fi and streams live video to your iPhone - iPad or Mac. Get instant alerts when someone triggers the motion sensors. Answer the alert - and you can see - hear and speak to anyone on your property from wherever you are. Ring also lets you check-in on your property at any time - with Live View in the free Ring app. Now you can keep an eye on the house - animals and more whilst you’re out. If you do see someone suspicious at your home - you can activate the incredible 110db alarm to scare them away. 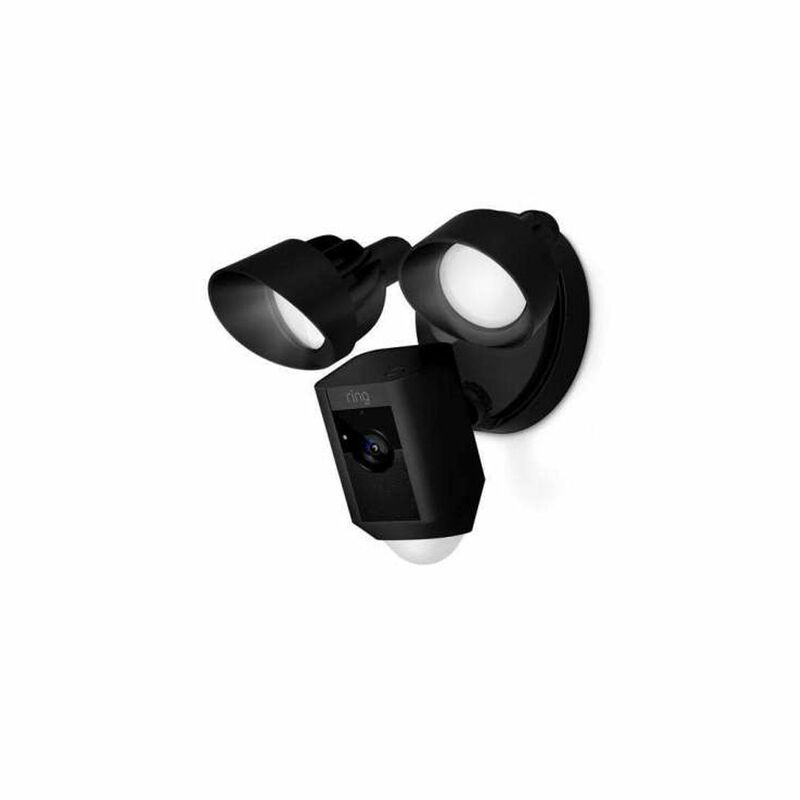 The Ring Spotlight Cam in black comes with a convenient quick-release rechargeable battery pack - so you can easily charge the camera without the need to move it. Set-up will take just minutes with the included set of tools. 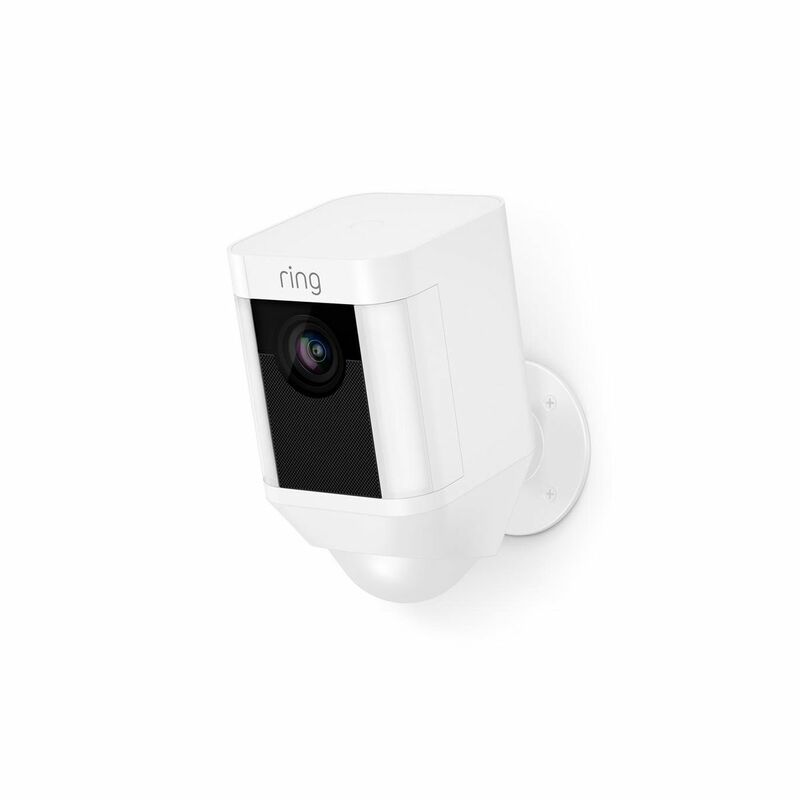 Bring smart security to your home with the Ring Spotlight Battery Cam in white. The battery operated camera connects to your home Wi-Fi and streams live video to your iPhone - iPad or Mac. Get instant alerts when someone triggers the motion sensors. Answer the alert - and you can see - hear and speak to anyone on your property from wherever you are. 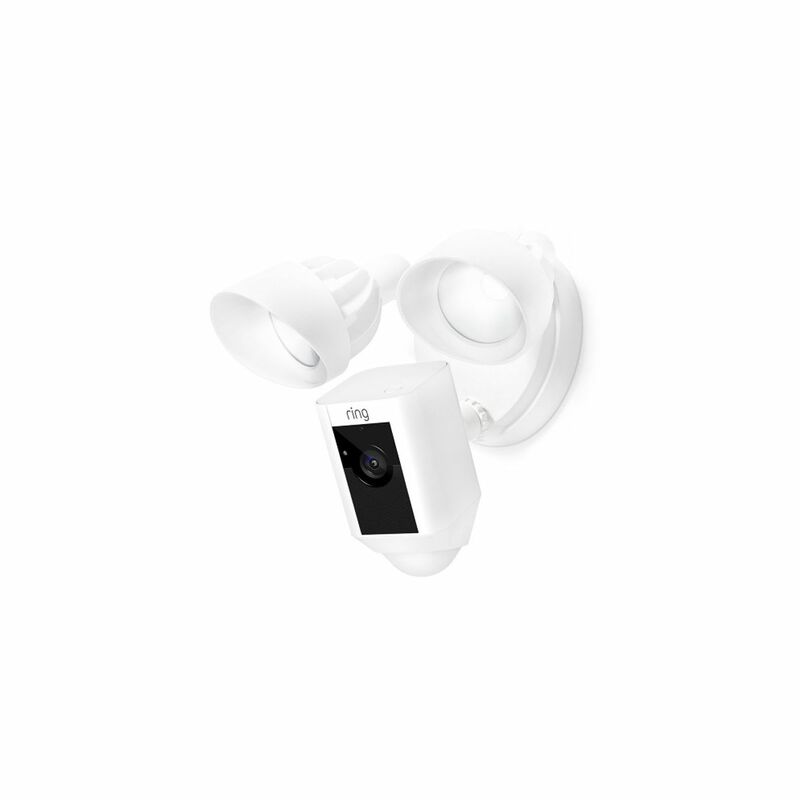 The Ring Spotlight Cam in white - comes with a convenient quick-release rechargeable battery pack - so you can easily charge the camera without the need to move it. Set-up will take just minutes with the included set of tools. The Ring Spotlight Outdoor Cam in black - vastly improves your home security. 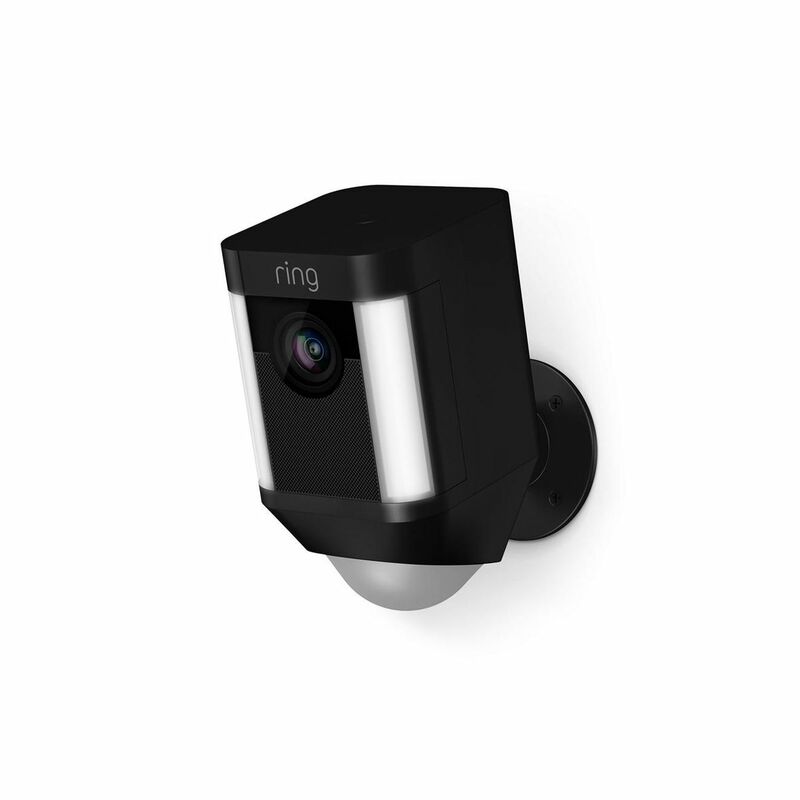 The Ring Spotlight Cam in black - is built to last. Ring have combined a sleek design with practicality. With it’s robust and weatherproof build - it can be used all day everyday - come rain or shine. The Ring Video Doorbell Pro gives you control over your home security. The Doorbell Pro allows you to answer the door wherever you are - even before the doorbell rings - by speaking with visitors using the built-in intercom system. Recording in 1080p HD resolution - and with a 160º viewing angle - you can make sure every detail is recorded. Whether your home sits on acres of land or is in a small apartment building - nothing will be missed. The built-in motion sensors send an instant notification straight to your iPhone via the free Ring app. All of this is encased in a sleek and discreet design. More importantly - however - it’s completely weather-resistant - so the Ring Video Doorbell Pro will work come rain or shine. The Ring Video Doorbell Pro requires full installation by a certified electrician and it’s powered by mains electricity. 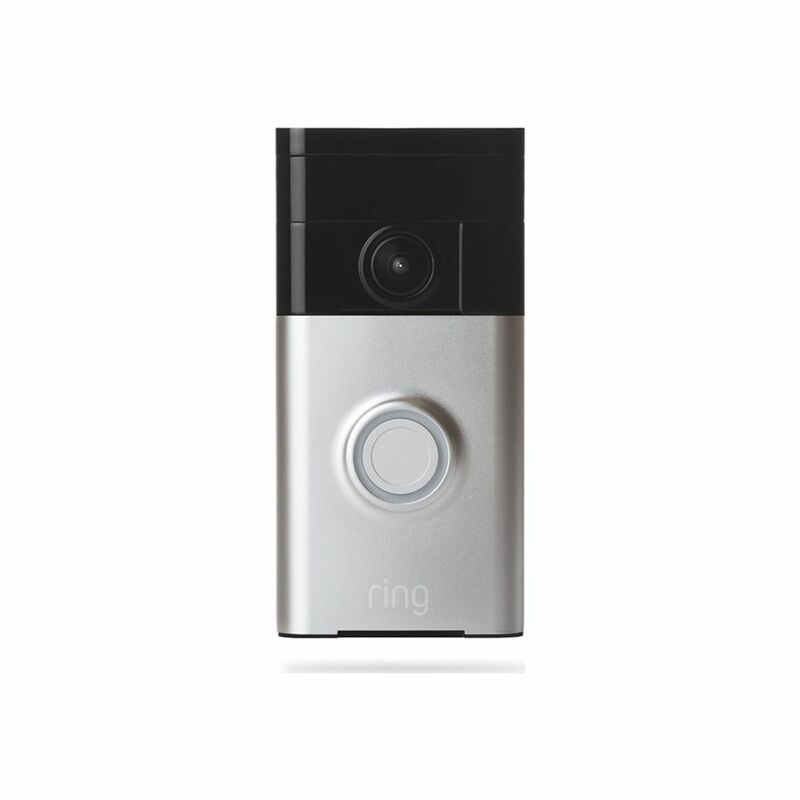 The Ring Video Doorbell won’t run out of juice and - you won’t have to worry about recharging it. 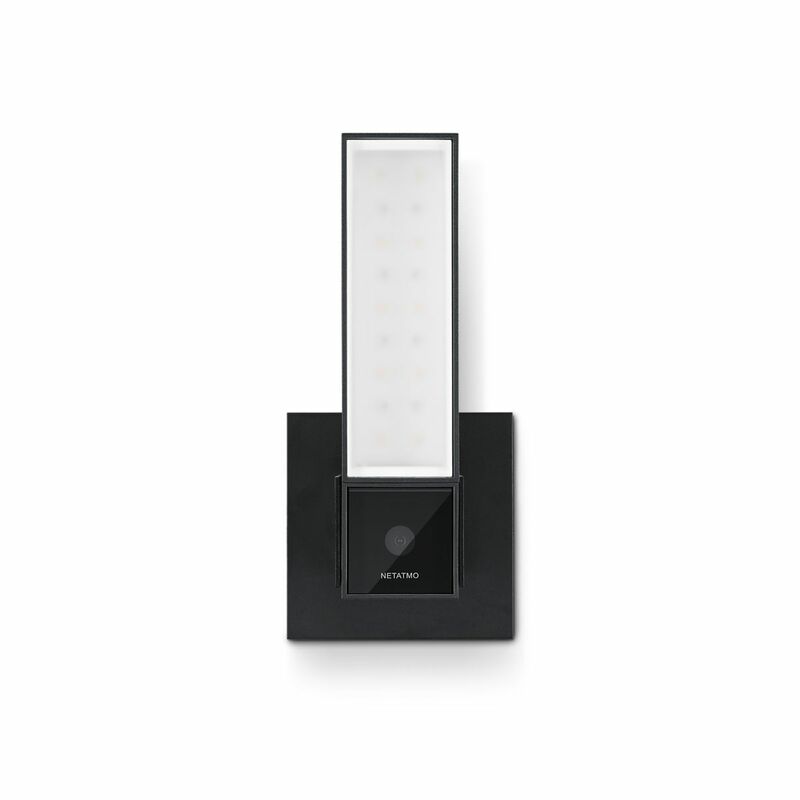 Improve your home’s security with the Ring Floodlight Cam in black. The Floodlight Cam is a motion activated security camera - armed with 2 ultra-bright LED floodlights and an incredible 110db siren alarm. The ultra-wide 270º detection monitors round corners and in blind-spots with dual sensors for object and facial detection. Get an instant notification when the sensors are triggered. View recording in 1080p full HD - with a 140º field of view - so nothing is missed. With the Ring Floodlight’s two-way voice interaction - you can see - hear and speak to your visitors using the free Ring app on your iPhone or iPad. The Ring Floodlight Cam must be installed by a certified electrician. Improve your home’s security with the Ring Floodlight Cam in white. The Floodlight Cam is a motion activated security camera armed with 2 ultra-bright LED floodlights and an incredible 110db siren alarm. Improve your home security with Netatmo’s Presence Outdoor Security Camera. Set-up Presence in any location you like - the camera will do the rest. Presence detects and reports - in real-time - directly to your iOS device. If someone is loitering near your home - a car enters your drive - or your pet is messing around in the garden - Presence detects it all. The Presence Outdoor Camera is entirely waterproof and is specifically designed for outdoor environments. It can withstand the elements: snow - rain - moisture - dust and dirt - thanks to the HZO technology - an innovative thin-film coating solution. Presence offers protection day and night - with it’s infra-red night vision and ultra-bright floodlight. The smart floodlight can be switched on manually in the free Netatmo app or set to switch on when it detects a person - car or animal.